Reduce The Risk of ID Theft. Don’t Get Scammed! 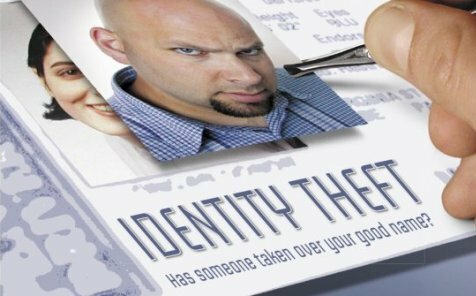 I offer some thoughts on how to prevent identity theft and how to seek identity theft protection. This topic has been talked to death by the financial community and there are literally a zillion books on the subject, but being the paranoid that I am, I thought to add my own thoughts to the conversation. I’d like to take a closer look at the subject of identity theft. What I found particularly worrying was how victims of this crime didn’t feel sufficiently supported by the government about their plight, and how perpetrators to the crime come in all shapes and forms: from illegal immigrants to one’s own family members — including, sadly enough, those parents who’ve decided to exploit their own children. I’ve been a victim of credit card false charges and theft more than once, and I do know at least one person who’s been a victim of identity theft. In that situation it was such a blatant crime that involved the victim’s social security number becoming hi-jacked by no less than five foreign-sounding identities that were registered in the same bank as the victim’s. How crazy is that? I also wrote about an experience I had several years ago about some very determined thieves who attempted to raid our trash bins in the middle of the night. And would you believe they did it even with our security lights flooding the location where our utility bins were located? Some of these low-lifes are not easily deterred, unfortunately. Work in a gas station or restaurant for a few days to get discarded credit card imprint carbons. Sift through trash cans and dumpsters to pick out bank records and credit card billing statements. Drive around suburbs with an inexpensive scanner and listen for people placing phone orders on cordless phones. Pay off “friends” who work in retail stores to steal numbers from customers. Obtaining names and SSNs from personnel or customer files in the workplace. Stand next to or behind patrons at the sales counter of any department store and read their number off the card as they present it to the clerk. “Shoulder surfing” at ATM machines and phone booths in order to capture PIN numbers. Wander through airports or bus stations where people routinely forget to pick up their receipts while worried about catching their flight or getting on their bus. “Dumpster diving” in trash bins for unshredded credit card and loan applications and documents containing SSNs. Stealing mail from unlocked mailboxes to obtain newly issued credit cards, bank and credit card statements, pre-approved credit offers, investment reports, insurance statements, benefits documents, or tax information. Accessing your credit report fraudulently, for example, by posing as an employer, loan officer, or landlord. Finding identifying information on Internet sources, via public records sites and fee-based information broker sites. (1) Theft of your sensitive information to take over your existing accounts. I always thought of this as just your standard credit card fraud scenario, but it’s actually a form of ID theft. This form of theft is easier to discover simply through checks of activity against your existing accounts. (2) Theft of your identity used by a thief to open and generate new accounts in your name. This crime is much tougher to trace because new accounts and statements are tied to the address of the criminal. Pay everything in cash! That would limit the frequency of my personal information being attached to traceable monetary transactions. Put my money under my mattress. Okay, this may not be a feasible thing to do, but hey, it will once more limit how many roving eyes take an interest on my dough. Get a P.O. box and use it instead of my own address. This would make it tougher for people to have the information they need to open bogus accounts in my name. Freeze my credit report, which means I won’t be able to get new credit unless I unfreeze my report first (which takes a fee and several days to do). The tradeoff is between the hassle and inconvenience you’ll need to go through to access new credit, vs the security and peace of mind you’ll receive from knowing you’re an unlikely ID theft victim. I’m putting this on my TO DO list! Safeguard your information. Know where your information goes and don’t give it out unless absolutely necessary. The less items you have with your information on, the better. Transact less often, minimize the use of plastic, own fewer cards, simplify your finances, etc. Keep good records, be vigilant about them and review them regularly for any unusual activity or just to monitor the health of your finances. Use features and services available to consumers that allow for better tracking, higher id theft prevention and the like. Bills and statements don’t arrive when they are supposed to — they may have been stolen from the mailbox or someone has changed the mailing address. You receive calls from collection agencies or creditors for an account you don’t have or that is up to date. Someone may have opened a new account in your name, or added charges to an account without your knowledge or permission. Financial account statements show withdrawals or transfers you didn’t make. A creditor calls to say you’ve been approved or denied credit that you haven’t applied for. Or, you get credit card statements for accounts you don’t have. You apply for credit and are turned down, for reasons that do not match your understanding of your financial position. For further details, you can check out this article on 46 ways to reduce the risk of becoming an ID theft victim. Now you don’t need to read any more personal stories to know that id theft is a massive pain in the arse. Victims have claimed that it takes from a year to two years to resolve a case. There are clear avenues to take once you’re in this situation. Check your credit report and contact the three major credit bureaus: Experian, Equifax and TransUnion. Place a fraud alert on your reports. Close all your affected accounts: contact your creditors, banks and other institutions where your information may have been compromised. Report the misuse of your SSN to the Social Security Administration or you can file an electronic fraud report at www.ssa.gov. For comprehensive details about how to proceed, check this FTC report and this one. That said, I’m not taking any chances — given our fairly stable financial status and the fact that we are not heavy credit users, my spouse and I have decided to put on a credit freeze fairly soon. Take that, you horrid thieves! Very informative and nice article. Once our id was stolen through our credit card. We paid with our card for dinner at a small restaurant in Vegas and lol soon our card was charged thousands of dollas everyday! Restaurants are one of the prime spots where our info may be stolen. Waiters take our card to be swiped and in the process steal the no. and other details. Our’s happened because our mail was stolen from our mailbox! I put the mail out Sunday night, Wednesday night a police officer called our house and asked my wife if she knew where I was! I was sitting right next to her! Long story short in 48 hours he had washed our checks, had a fake ID made and applied for a real one using the fake! If it hadn’t been for an off-duty policeman at the store at the time we could have been in bad trouble! It just shows how prevalent this nasty crime is. I hardly know anyone who’s never had a brush with this problem before. I always feel it’s just a matter of time when something like this will happen… yet again! I actually have I.D. Theft protection through LifeLock, but one other thing I have tried to start doing is use cash more often and not use my debit card. I have had several friends who have had their debit card swiped by either a waiter or some swipe machine that was rigged to steal their debit card info. Apparently this debit/credit card swiping is becoming a bigger problem. I wonder if the increase in paper recycling has contributed to the increase in identity theft? I think the #1 thing that people should realize is that MOST identity thefts occur because of the internet. The vast majority of the time it is not done by “swipe” machine, but by signing up for web sites etc. There are a lot of posts out there on this topic but I have never seen one that’s so complete and yet so concise. Great job! I love that you added some personal experience to the post to make it relatable but still provided som seriously useful tips for protecting yourself. That’s what great blogging is all about! Kudos on adding in the info about how “fraudsters” do what they do because that’s one aspect of identity theft that I only knew a small amout about before this post. I thought I was pretty wily about this (always tending to overestimate my own wiliness…) but I hadn’t heard about scanning for cordless phone transactions. After this I won’t use the Panasonic to order stuff from catalogs. Thanks for the link to the 46 ways to reduce risk — it’s an encyclopedia! One thing that amazes me is how careless people are with credit-card receipts. They leave them in the gas pump and even deliberately toss them on the ground. I save all my receipts after entering the figures in Quicken, and two or three times a year burn them in the fireplace or run them through the shredder. The weirdness of this habit is reflected in the astonishment of retail clerks when I can come up with a two- or three-month-old receipt to confirm some claim I’ve made about a transaction gone awry. Instead of paying directly to merchants, why don’t we use paypal? It’s true we all know someone that has been a victim. They should have classes in High School that educate students on how to protect themselves against this kind of thing. It’s sad that so many people fall victim to fraud. It’s hard to protect yourself in this world when there is so many punks that want to jack all your information. You have some great suggestions and common sense for avoiding identity theft, thanks! Identity theft is certainly a very real thing to deal with and the internet only makes it easier to become a victim. I’d tell you my story but it’s long and will just make me cry. Phishing scams are everywhere and most people can’t tell the difference between a real site and the fake one. I review this site and getting good idea and view that written here, life lock is good industry taking good steps keep monitoring identity thieves and it always protect from wrong hands’ and taken full service . No one stop identity theft, but we almost completely cover it and its life lock guarantee. So we suggest visit this site hope you getting more knowledge. Thanks for the write up, very informative. I’m researching how to protect myself from identity theft after I’ve been the victim of a phishing scam over the telephone. I reported my experience to http://www.everycall.us today and other people should too, it is a good site to check telephone numbers before you answer a call. Very informative article. Being a former cyberthief myself I can attest to its accuracy. So the identity theft/credit card fraud issue has gotten even worse. I read a few days ago that you shouldn’t use the scanner on the gas pumps to pay for purchases. Supposedly, the since the scanners are outside, they have been manipulated by some scammers and may not be the secure purchase method as once thought. See this link for the full story. I have been a victim of identity theft and it can cause you all kinds of upset and trouble. It’s not a victimless crime, the people responsible need to be dealt with more severely. -Use a VPN (virtual private network ) when using WIFI in public. Software can be found easily with a Google search for free. What's Next For Casey Serin, Poster Boy Of The Real Estate Collapse?